Have you ever wondered why Google is worth almost 750 Billion with a capital "B"? The easy answer is Advertising, which accounts for over 90% of their revenue. AdWords, along with YouTube, makes up the majority of Google's advertising business. Most people have at least heard of Youtube, as over 300 hours of video are uploaded every minute. However, AdWords is less understood. When you create a Google search, you receive two kinds of results: Organic and Paid. Despite their name, organic results are not overpriced, farm-to-table ad links from Whole Foods. No, Organic results are the "natural" results that Google's algorithm thinks is most relevant given the keywords you've searched for. So, you pay Google to get to the top? Sounds simple enough. Not quite! AdWords works on what is known as a PPC model, or Pay-Per-Click. Rather than paying Google to have your results show up at the top of the search page results, PPC means you only pay when someone clicks on your ad. The internet makes it easy for companies to execute these "performance" based models (another example would be PadMapper Premium's Cost Per Lead model, where you only pay if you receive a lead). The price AdWords charges per click (or CPC) is based on the specific keywords you choose, and how competitively other users are bidding on those same words. So, if you have a group of keywords with little competition and few bidders (such as "wrenches in Regina"), each click will be very inexpensive (as low as $0.05). Meanwhile, very valuable keywords that are highly sought after with many competitors (such as "car accident lawyers") can cost up to $50 per click. $50 per click is a lot! How much are keywords for the rental industry going to cost? There isn't one answer as it highly depends on the market, but the typical spend is between $0.5 - $2 per click. Another advantage of the AdWords business model is that it provides flexible budgets. Unlike most forms of marketing, which require a flat fee or minimum requirement to advertise, AdWords allows for budgets that you can scale up or down at any time. What can AdWords do for me? For starters, Google is the world's most powerful search engine, servicing over 40,000 searches every SECOND, and is the go-to place when most people have a question. Through AdWords, you have access to any of the 1.2 billion people who use Google in a year! Beyond having access to the world's largest group of users, a key part of the effectiveness of AdWords is context and trackability. While most advertisements on TV or billboards may have massive audiences and could reach millions, the message may be lost on the majority of those who see it. An example would be a car commercial during the Super Bowl this past year. Despite being seen by over 100 million people, only a small subset of those people may actually be actively looking for a car at the time that they see the ad. Even if people who see the ad are in the market for a car, it's hard for companies to track how many people act because of that ad and end up purchasing a vehicle. With AdWords, you are showing an ad specifically targeted to people who are already interested in the product or service. This makes it far more likely that your ad will be relevant to them and that they will act on it. With AdWords, you'll be able to track the performance of your ads and link them to business results, such as purchases. If AdWords is so great, then why haven't I heard about it until now? In short, AdWords needs know-how. While anyone can add their property details to an ILS and be up and running online, AdWords requires more expertise to get set up. While Google has made it easy for beginners to get started on AdWords Express, those who want to get the most out of their budgets will need to have a deeper understanding of the full AdWords platform. We highly recommend you use an AdWords certified professional or AdWords partner when setting up your AdWords, as those with the certification see between a 300 - 500% increase in their performance, over those who use AdWords Express. Additionally, in order to track your results, you'll need to understand how to set up AdWords conversion tracking, which allows you to track goals such as leads submitted. LWS is a certified Google Partner, and we also have Google certified professionals available to ensure that our clients get the most value from their level of spend. 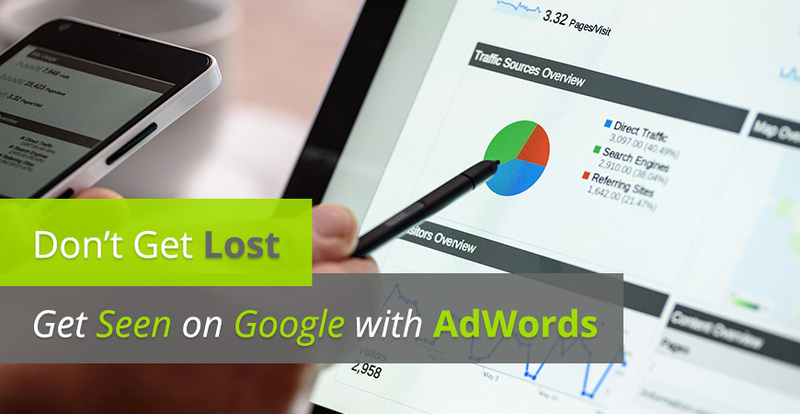 If you are interested in learning more about AdWords and how they could help you generate more tenant leads for a property with vacancies, or more client leads for your property management business, feel free to e-mail us at digital@landlordwebsolutions.com for a free SEM (search engine marketing) assessment. Be sure to sign up for our newsletter to be kept in the loop with the latest marketing trends affecting the rental property industry, and check back on our blog often.